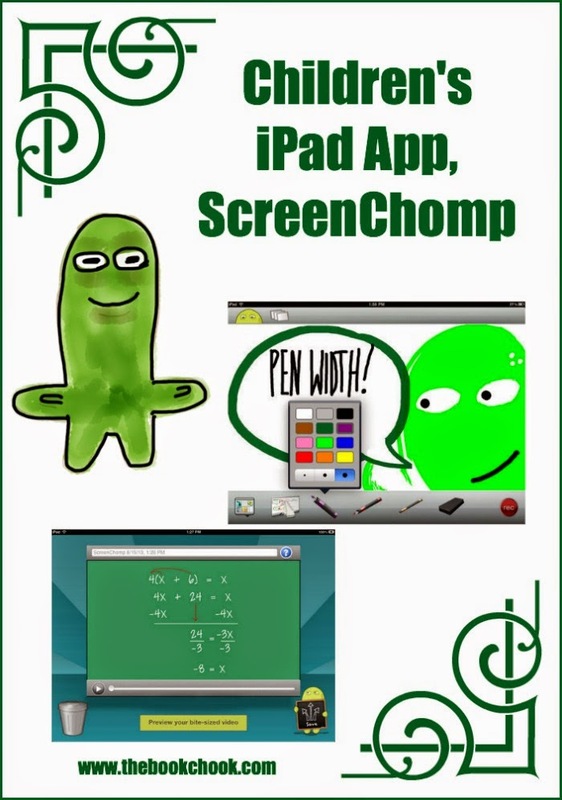 Screen Chomp is an app I’ve seen mentioned in lots of app lists. The general consensus is that it’s very useful in an educational context. Basically it allows kids or teachers to make a quick and easy video of a kind of digital whiteboard, complete with markers. The video might be to explain or demonstrate something, or relate in some way to images from the Camera Roll or Dropbox. The user is then able to get a link to share that video. 1. Touch RECORD to capture your touch interactions and audio instructions on a plain background, or an image from your iPad camera roll. 2. SKETCH out your ideas and talk the viewer through the "how" and "why" of it all. 3. Stop and SHARE your video snack to ScreenChomp.com to generate a simple web link you can paste anywhere. … it serves up a short URL that’s easy to share anywhere. … you can download your video as an MPEG-4 file. … there’s no account to manage. Just post and go (perfect for schools and teachers)! Users at every skill level can create bite-sized teaching morsels they can share online, again and again, with this delectable app. It’s free. It was developed by TechSmith, makers of Camtasia and Jing. It works well for what it’s designed to do. I love that it encourages collaboration between peers. If Tristan can’t understand part of his homework, Tiffany can show him what to do without leaving home. If Mum or Dad need to be away, they can still help with their kids’ problems, or check out the latest invention they’ve designed. Kids can record themselves drawing and talking about what they draw, then send it to their parents or teachers. I know I am usually on the lookout for apps that encourage kids to create. I’m not going to try to persuade you that this is an app kids will create snazzy artwork or descriptive stories with. What I believe they will do is use it for the purpose for which it was designed: making a quick video to share with someone significant in their lives.